What is bonded warehousing? How difficult is it to find warehousing space for craft spirits? The craft spirit industry has seen a resurgence over the last few years, according to The Telegraph. Customers are becoming more discerning about their choice of beverages by gravitating towards craft spirits, as the number of small distilleries opening in the UK continues to grow. O Donnell Moonshine is one of the new distilleries that have emerged to help satisfy this thirst for premium spirits. The name of the business refers to the illegal alcohol produced during the days of the American prohibition. O’Donnell Moonshine use traditional techniques and high quality ingredients to produce flavoured craft spirits and liqueurs. O’Donnell Moonshine were faced with the problem of storing and scaling the distribution of their product, which because it is alcohol, raises particular logistical challenges. 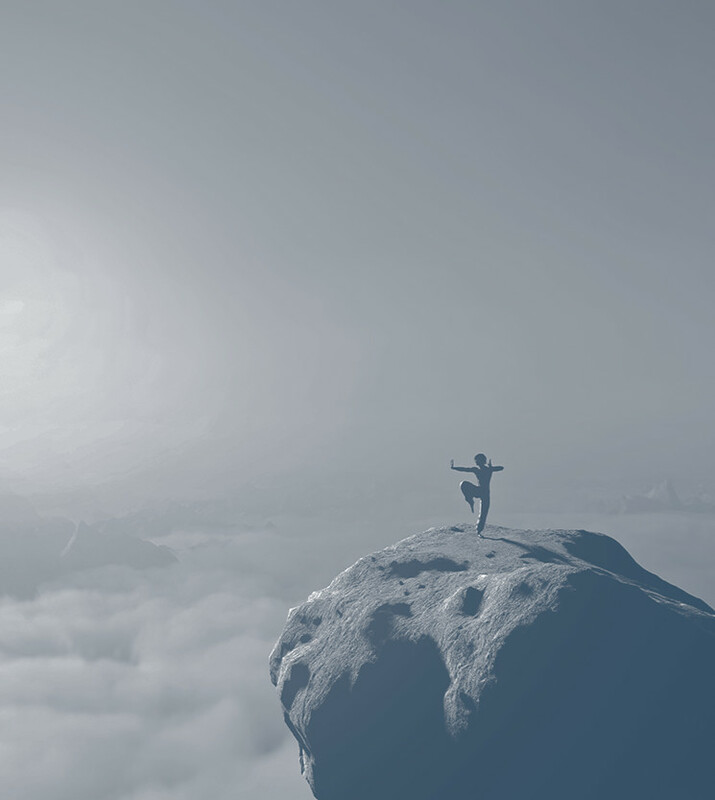 By working with Stowga they were able to find an optimal warehousing solution, saving them both time and money so they could focus on growing their brand. Roasted Apple - Smooth and tempting moonshine liqueur made from almond, apple, cinnamon and vanilla. Bitter Rose - A mixture of sharp, acidic grapefruit notes that combine beautifully with fruity accents of rose hip. Tough Nut - A soft and velvety moonshine liqueur made from hazelnuts, caramel and nougat blended. Alcohol incurs a duty tax. To avoid paying the tax upfront, O’Donnell Moonshine required a particular warehouse known as a “bonded warehouse”. A bonded warehouse has a specific designation from HMRC that allows customers to store imported products and only pay import duty on removal of their stock from that particular site. Crucially, this avoids any upfront tax payment and so creates a significant cashflow advantage for users of bonded warehousing. This is particularly important for the spirits industry, where the level of import duty is high relative to most other products. The big challenge for new entrants to the market is finding warehouses willing to take on smaller volume. The lack of transparency and limited information available on bonded warehousing makes it extremely hard to find multiple options, and be able to compare them. Working with Stowga, O’Donnell Moonshine were able to quickly search and connect with hundreds of bonded warehouses across the country. 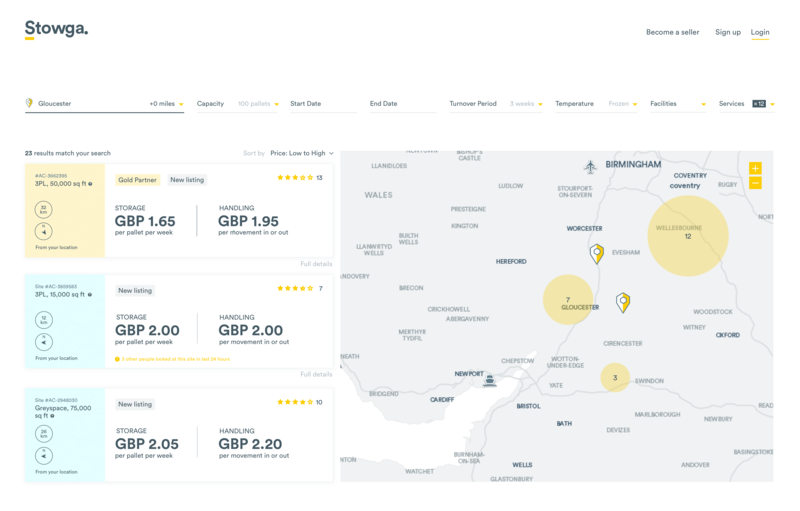 The Stowga marketplace allows companies like O’Donnell Moonshine to search thousands of warehouses globally using its map and search filters and find the most appropriate warehouses to match their requirements. The search results were instantaneous and provided O'Donnell Moonshine with visibility on pricing all over the UK. They were then able to connect directly with the most appropriate facility, which turned out to be a bonded warehouse in Dover. If done manually, this process may have taken weeks or months, but by using Stowga the contract was agreed in just days. On the legal side, rather than having to sign up to a long-term lease, O’Donnell Moonshine used Stowga’s legal template to sign a flexible agreement which allows them to scale up and down with their business requirements. 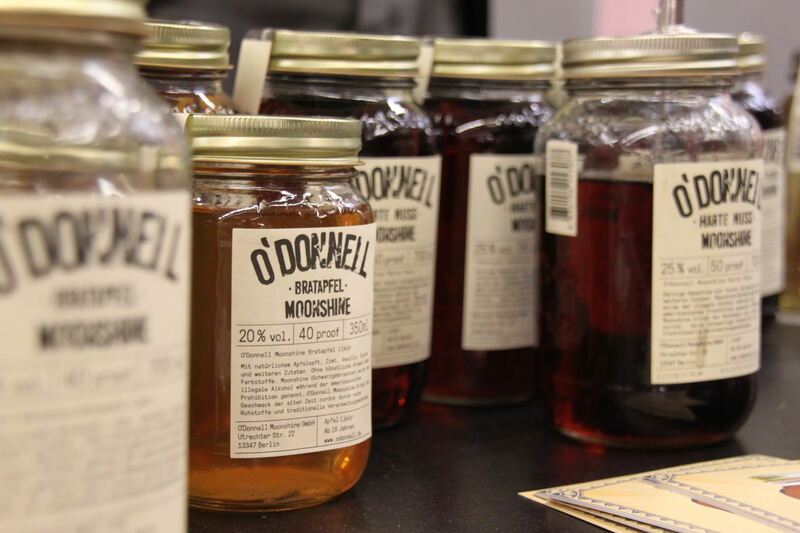 The warehouse that O’Donnell Moonshine chose was also able to offer additional services, such as labelling and packaging of the product onsite, which was required before distributing the product to customers. For startups like O’Donnell Moonshine, having a flexible, efficient and scalable supply chain using a network of warehouses, provides them with a competitive advantage as they look to grow their business and expand globally. 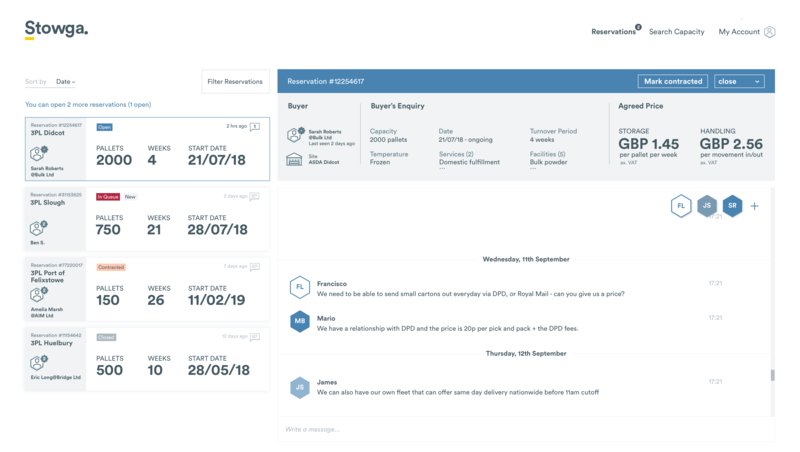 By digitising the process of finding, comparing and booking a warehouse, Stowga reduces a process that once took months to seconds. The speed is the differentiator because not only does it save time and money, but it allows companies to be agile. Companies no longer need to worry about logistics, they can quickly and easily identify the right solution, build fluid supply chains with reliable partners and get back to what they are good at, knowing they have the optimal solution.